One of the enthusiastic and professional football players from Uruguay who plays as a defender of Uruguay National Football Team and Argentine Club, Independiente is popularly named as Gaston Silva. He has impressed to everyone due to his talents, skills, and performance. He also represented himself and his nation, Uruguay in the 2018 World Cup in Russia. Gaston Silva was born on 5th March 1994. He belongs to Uruguay nation. He was born in Salto, City of Uruguay. His full name is Gastón Silva El Que Juega Poquito. His mother name is Patricia Perdomo. He has a brother name as Martin Silva Perdomo who is also a professional footballer and he plays as a midfielder position for the Italian Club, AC Bra. Gaston Silva also holds Italian Citizenship. Gaston Silva started his career from Defensor Sporting. He debuted his professional career at the age of 16 on 8 November 2011 in the away victory against Montevideo Wanderers with the score of 0-2. He also made his official debut in the Copa Libertadores on 18 April 2012 in an away win against Argentina's Club Atletico Velez Sarsfield club with the score of 1-3. He contributes great final victory in the 2011-2012 Uruguayan Primera Division Season where he played a game in the Apertura Tournament. He played in all 17 games in the league and four in the Copa Libertadores. Gaston Silva was transferred to Torino football club on 21 July 2014 for €2.3 million. There he signed a four-year contract. In this club, he made his great debut for the club in the UEFA Europa League against the Club Brugge. Later on, 18 August 2016 after the completion of the contract, he joined the Spanish football club i.e Granada CF on a season-long loan deal with him. There he made his debut in La Liga after ten days. He has appeared in 23 games and stayed in this club till 2017. Then he moved to the Argentine Club, Independiente. He played the 2011 South American Under-17 Football Championship in Ecuador. He also played with Uruguayan national under-17 football team at the 2011 FIFA U-17 World cup held in Mexico country in 2011. Previously, in 2012, he played with the Uruguayan national under-20 football team at the 2013 FIFA U-20 World Cup in Turkey. His name was also listed in the Uruguay national football team under-22 squad for the 2011 Pan American Games in 2011. 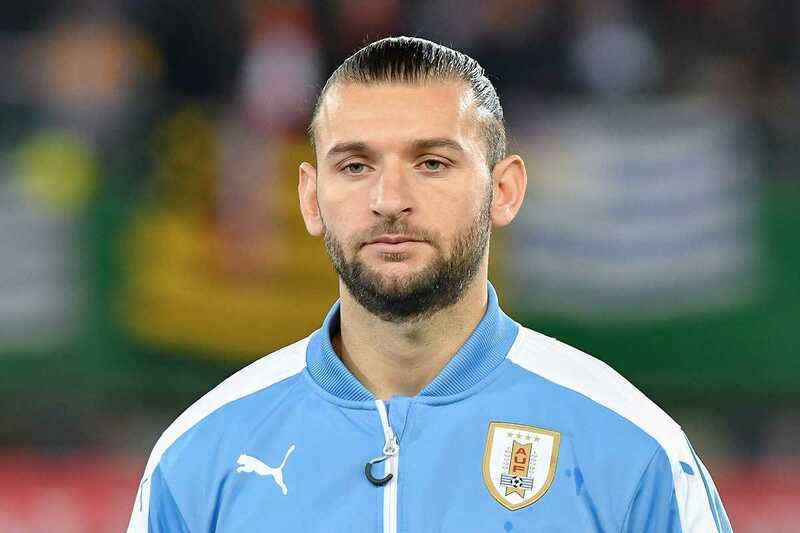 In May 2018, for the 2018 World cup in Russia, he was named in Uruguay's provisional 26 man squad. Gaston Silva is a married man. He got married to Noel and also has a child with her. Julia is the name of their child born on May 15, 2017. Their married life has just been two years. He is 6 feet tall. His zodiac sign is Pisces. He has an estimated net worth of $1 Million including his all incomes. His annual average salary is $57,000. The main source of his income is only football.